Samsung has pushed the official Android 4.4.2 KitKat to Samsung galaxy S4 a few days ago, after walking around this update, I have found that there is a problem while trying to change the CSC (product) code. If you tried to change CSC by using cscselector app or terminal, you will not see any changes and the CSC will stuck in the default code. 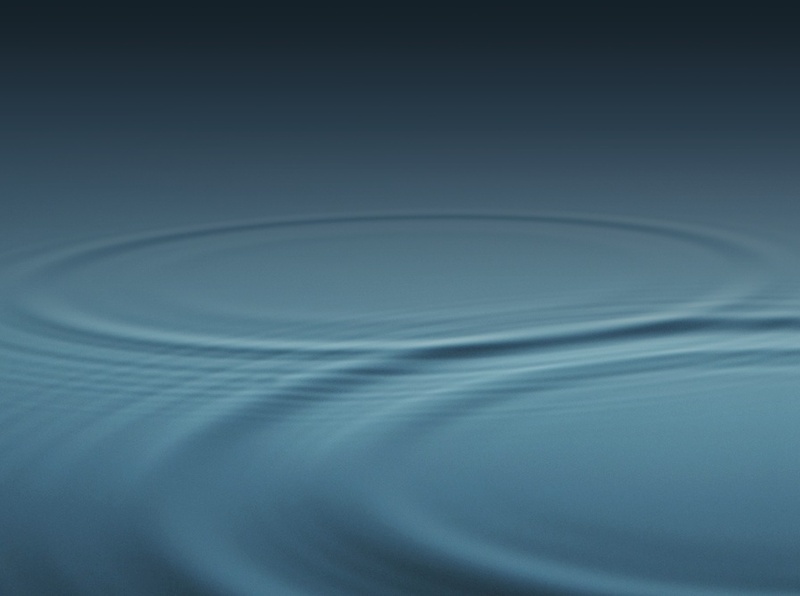 Rooted galaxy S4 or any galaxy device. Installed root file explorer ES File Explorer or Root Explorer. In my case, I will change CSC code from DBT to BTU. Open ES File Explorer or Root Explorer and mount RW. Accept Overwriting or replacing files. Use CSC selector app or Terminal method to change CSC to BTU. WARNING : Changing CSC will delete all data on your device. It might display "PreconfigUI does not support SingleCSC" if your current firmware doesn't support Multi-CSC. This method should work for many galaxy devices which running Android jelly bean and KitKat. 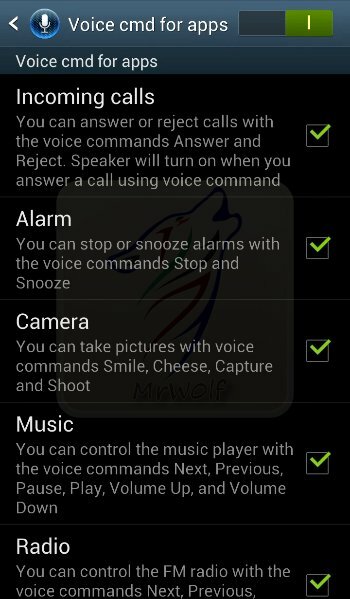 You can answer or reject calls with the voice commands Answer and Reject. 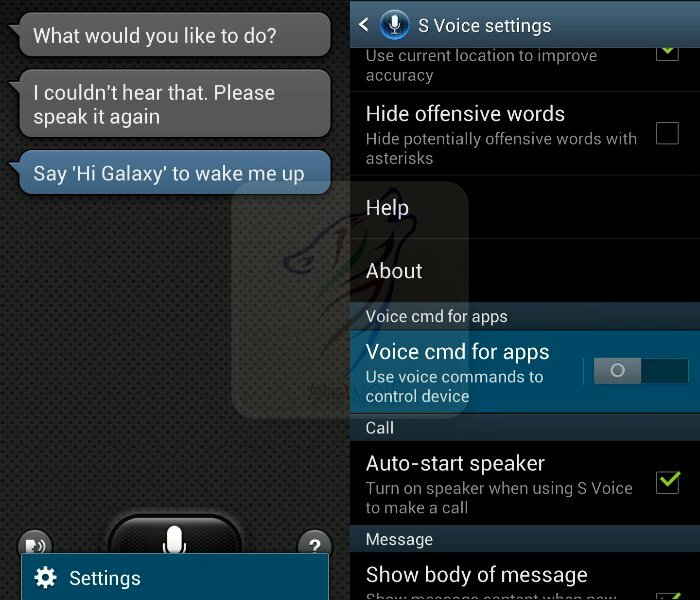 How to enable Voice CMD for apps ? 3- Select "Settings" then Scroll down and select "Voice control"